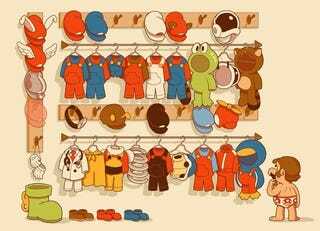 "Mario's Closet" by Glenn Brogan, as seen onTiny Cartridge. Currently a candidate in a t-shirt design contest. Vote for it here.